Your welcome all. I have had them for a while and have only just found a way of making them available to download. I keep a copy of the manual on my iphone in ibooks so I can access it quickly if needed, pain to scroll through pages and pages just to get to the bit you need but it works. Wonder if we could make this post a sticky, Cam? Is this the same as an 2008 2009 model. lonelyshyone wrote: Is this the same as an 2008 2009 model. Same bike from 2007 onwards. And by the looks of things, except for the shape of the bikini fairing, you'll be able to use the 2007 manual for the 2015 model. Actually there are some things in the Haynes that is clearer to understand than the factory manual, or just to get a different view on the same task, I've got both. Haynes assumes basic knowledge but is designed for the home mechanic. The Suzuki one assumes you have a workshop with factory tools. Both helpful but in different ways. Haynes has a good step by step on balancing the throttle bodies with basic gear, while the Suzuki manual describes the approved way using the SDS software and that is pretty useless advice without SDS (which is why forums like these are so useful). Having the Suzuki manual on the iPad though is very useful as you can zoom images. Hi Cal how have you been , did you replace your bike with another one ? .................apart from the postie . 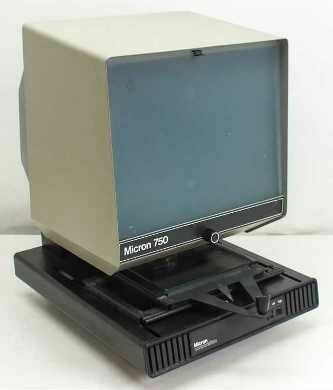 I hadn't thought of microfiche in years, we used to have our parts manuals on microfiche and a little machine that projected them on the back of a translucent screen so it looked a bit like a monitor. I sold my microfiche reader just before we moved to Tassie. I had the complete set of Ford fiche sheets for the parts list and diagrams of all XD,XE, XF sedans, Fairlanes and LTD's. Came in very handy when I converted my old ZJ Fairlane to look like an FE LTD. I am fantastic Paul, no have not replaced the Bandit and yes still on the postie bike. I am in the shed more these days, building guitars and ukuleles of all things! How are you going? Hope you are well! Yes doing pretty good and settling into retirement quite nicely .